If your Audi battery died because you forgot the lights or the radio on, it doesn't mean that you need to replace the battery. To fix this problem, charge the battery the using a trickle charger. A trickle charger provides a small current which brings the battery back to a fully charged state. Of course, you can always jump start your Audi with a jump box or another car, but doing so can have an impact on the life of the battery. It can trigger low voltage fault codes in various modules and even send your Audi in limp mode in some cases. If time is not a restraint, charge Audi battery following the directions below. A trickle charger outputs between 2 and 12 amps. Smart chargers prevent the battery from overcharging which could be damaging. Park your Audi and set the parking brake. Remove the key from the ignition or if you have proximity key, keep it away from the car. 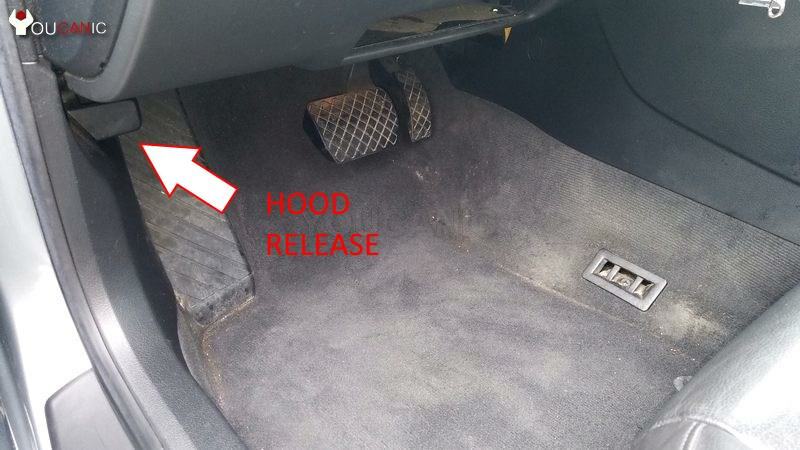 Open the hood of your Audi by pulling the hood release under the dashboard. Once you hear the hood pop open you can stop pulling on the cable. Move the front of the vehicle and lift up the hood. Locate the battery. Some Audi cars have a plastic cover on top of the battery. Remove the slips or screws that hold the cover in place, pull out the cover to access the battery. You can also use the POSITIVE jump starting terminal to charge the battery. In newer Audi vehicles it may be required to charge the battery from this post. Check your owners manual and verify. Connect the red clamp on the positive terminal. Connect the black clamp on the negative terminal. Allow the battery to charge for a few hours. Monitor the vehicle for the first couple of hours and not leave the vehicle unattended. If the battery overheats during charging disconnect the charger. We recommend using a Smart Charger to prevent the battery from overheating. If your Audi battery is completely dead it can take more than 5 hours to charge the battery. If you had to jump start your Audi and are now experiencing electrical problems follow this guide to learn How to Read Audi Fault Codes. Instructions in this guide, apply to most Audi models including A1 A3 A4 A5 A6 A7 Q3 Q5 Q7 TT.